District93 is running 2 promotional campaigns until 15th June, 2018! Please take a look and don’t miss your chances. 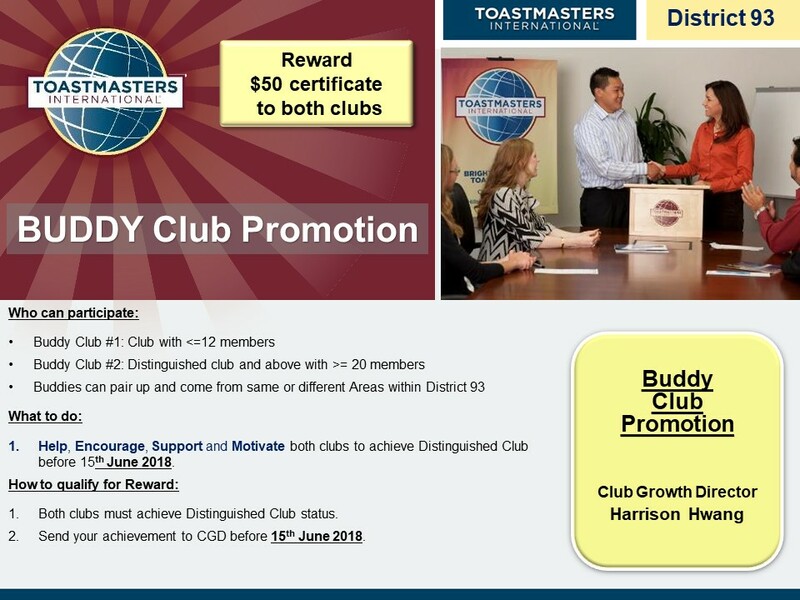 Club 1 that has less than 12 members can be a Buddy club with club 2 that has more than 20 members, if both of clubs achieve Distinguished club before 15th June 2018, District will give $50 Certificate to both clubs. Buddies can pair up and come from same or different Areas within District 93. 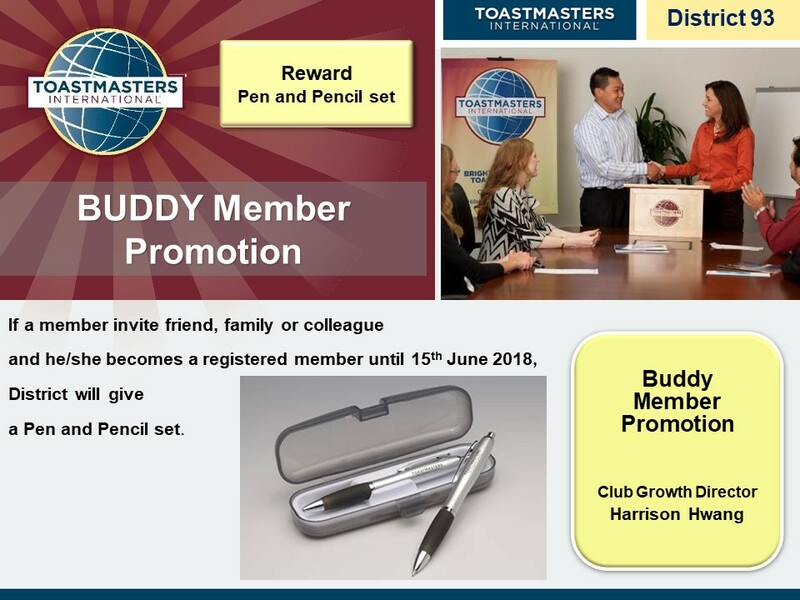 If a member invite friend, family or colleague and he/she becomes a registered member until 15th June 2018, District will give a Pen and Pencil set.